“Depressing Mixtape” – featuring music by Pan Sonic, Coil, Hauschka, Future Sound of London, Boards of Canada, Karsten Pflum, Carl Craig, Jami Sieber, Plaid, Forest Swords, and Susumu Hirasawa. Serbia’s Lag is one of the names to watch in the ever increasing swamped world of techno. His tracks have found homes with Teskoba, Sect Records, Singularity Recordings and most notably Bas Mooy’s MORD, where he has to date, two sharp and unique sounding EPs – Misfit and Fiend. Away from the studio his ability behind the decks is such that he regularly performs on the main stage at Exit festival and has graced the hallowed Berlin halls of Tresor. 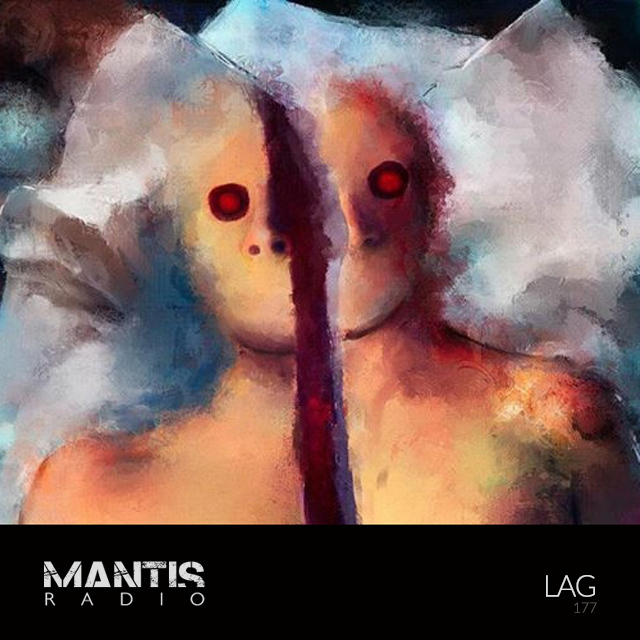 His session for Mantis Radio is something different to a club set, it’s more of a cathartic special. Mantis Radio returns, April 14th with a session from US producer Chris Goudreau + Corax (Rodz Konez).